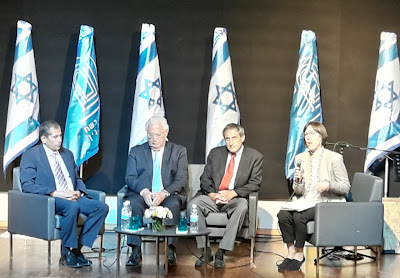 The Indian Ambassador to Israel, Mr. Pavan Kapoor, on far left, at the Menachem Begin Heritage Center. Next to him is American Ambassador to Israel, David Friedman. 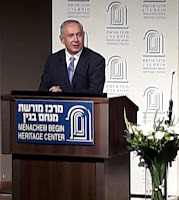 A couple of weeks ago, my husband and I attended a diplomatic reception, plus panel discussion at the Menachem Begin Heritage Center. On the panel was the Indian Ambassador to Israel, Mr. Pavan Kapoor. 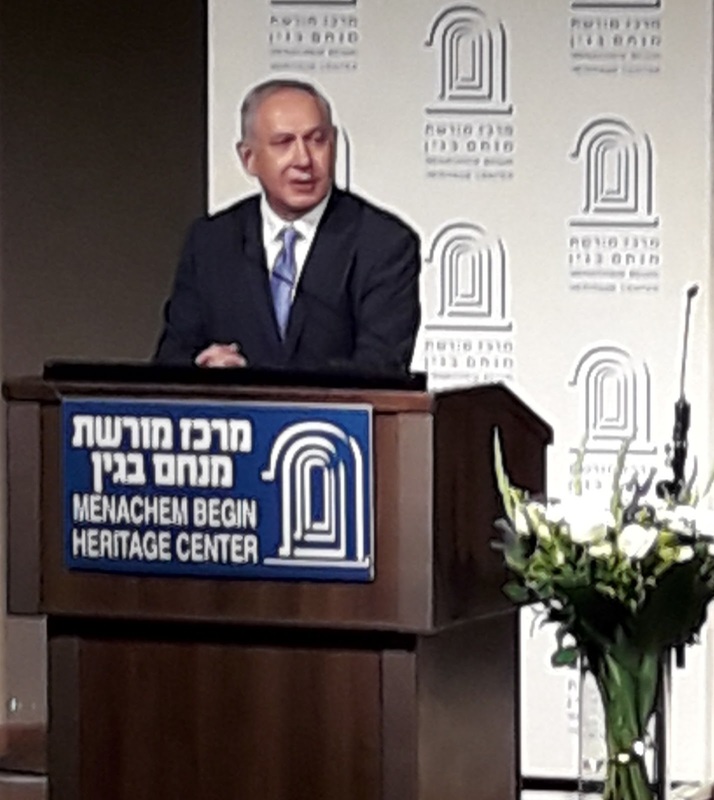 Before the panel began, Prime Minister Binyamin Netanyahu greeted the honored guests and made a point of saying that Israel and India were established at the same time, India in 1947 and Israel in 1948. It was as I heard him say that when the seeds of this article began to sprout. Both the Indian subcontinent and Mandate for Palestine had been ruled by Great Britain. Both areas had sizable and violent Muslim populations. The experts of the time decided to segregate the populations by religion. In the Indian subcontinent two countries, one for Hindus and the other for Muslims, were established. And, yes, this required in some places massive and difficult population transfer. They exist today in rather peacefully, India and Pakistan. Things were handled slightly differently in the area called "Palestine." One of the reasons is that in 1921 Great Britain handed the Hashemite Abdullah a very large portion of Mandated Palestine to invent a kingdom for him, all of the land east of the Jordan River. It became known as the Emirate of Transjordan. The "minor" fact that Britain had been mandated by the League of Nations to facilitate the establishment of a Jewish state was ignored. The Hashemites had a very difficult time ruling and keeping the peace, even though the veteran population was rather nomadic and very poor. That required Great Britain to continue to play a strong role in propping them up financially and militarily until very recently. Post-World War Two, at the same time when Britain gave up the Indian subcontinent and India and Pakistan were established, it was also time for them to finally promote the establishment of a Jewish state. Of course, the simple solution would have been for Britain to complete what they had begun over twenty years earlier, transfer the non-Jewish population to the Moslem Hashemites and allow the Jewish Zionists to build and develop their country in the area from the Jordan River to the Mediterranean Sea. But they promoted a new Arab country instead, which they wanted to call Palestine. But there was no such people, history, leadership etc. 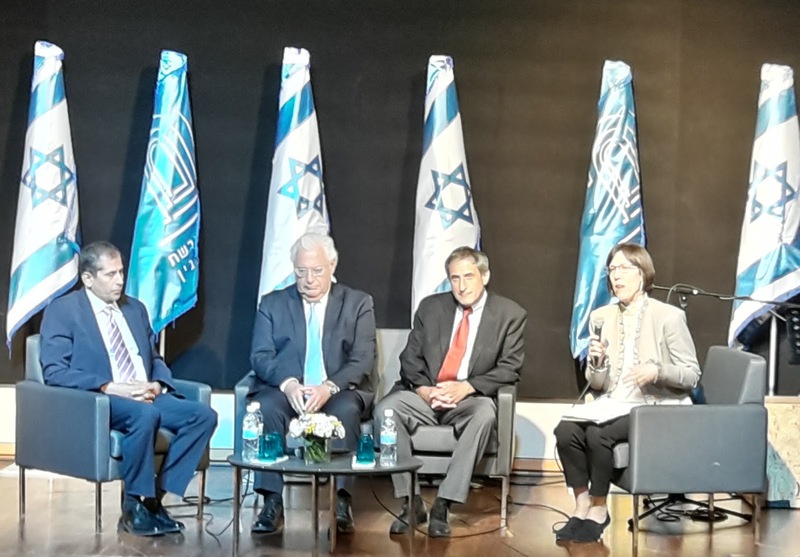 Instead, very tiny, disconnected and completely nonviable portions of land were allocated by the newly established United Nations to the Jewish State. Jews were transferred from other areas, but Arabs (Muslims and Christians) were told to stay put. The population transfer was one-sided, which gave a judenrein section to the proposed non-Jewish country while the so-called Jewish state would be forced to include a large antagonistic and extremely violent population. Basically, the Jewish state was established to deconstruct, fail miserably and quickly. In order to speed up the process, Britain armed and supported the Arab uprising, once David Ben-Gurion declared Israeli Independence. And today we are still suffering from these decisions, policies and events.